Like with many hobbies, home brewing has a learning curve. Initially there is a lot of information to take in and many processes to keep track of. In time, you gather knowledge and experience and you master the fundamentals of brewing. Where home brewing differs from many hobbies is that once you have done so, there are a variety of tangents that you can pursue. For instance you can explore water chemistry and the impacts on different styles of beer, design your own beer recipes and figure out which hops best compliment a specific yeast strain, try different mashing techniques and focus on boosting your brew house efficiency or even build and customize your own brewing hardware. At some point along the way, if you home-brew long enough; what makes your beer unique is all of the small things that you learn, apply in your process and customize along the way. 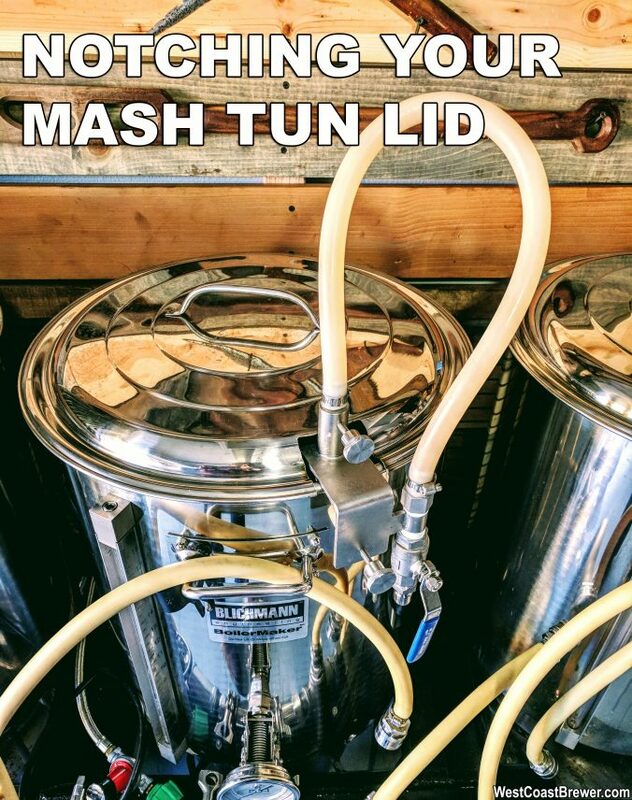 On the topic of all of the small things, one of the things that I should have done long ago was place a notch in my mash tun lid to accommodate my sparge arm. Prior do doing so I had to leave my lid ajar, allowing heat to escape from my mash tun, requiring my RIMS system to use more energy to compensate. I am not going to lie, any upgrade or project that requires me to drill into or cut in to one of my stainless steel Blichmann kettles make me a little nervous. After all, the last thing that I want to do is ruin one of my vital pieces of home brewing hardware. The good news is that I almost never use a lid on my Boil Kettle, so if I jacked up the mash tun lid bad enough, I had a backup! I used three tools for this project, an angle grinder (costs about $30 if you do not already have one), a file to clean up the rough edges and sharp spots and a dremel (or drill) with a fine grinding bit to shape the groves more precisely so that the lid would fit snugly against the sparge arm. Although initially intimidating, it really was not so challenging. My best advice is to measure conservatively for your initial grinder cut and use the dremel to remove any excess metal. The vertical cuts are easy with the grinder, but the horizontal cut can be challenging if you are not careful. As a final touch I may add a silicone stopper and trim it to fill some of the small gaps that still exist; but even with out that I am very happy with how it turned out! 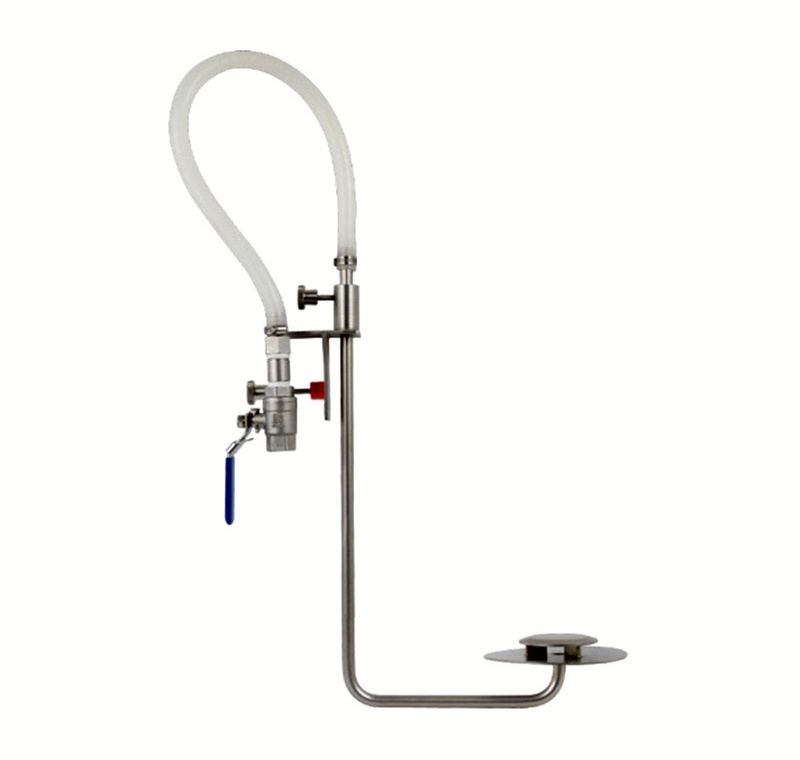 Also, if you are looking for an incredible stainless steel sparge arm, I can not recommend the More Beer Ultimate Sparge Arm highly enough. I have used it for around 3 years now and it had performed flawlessly. 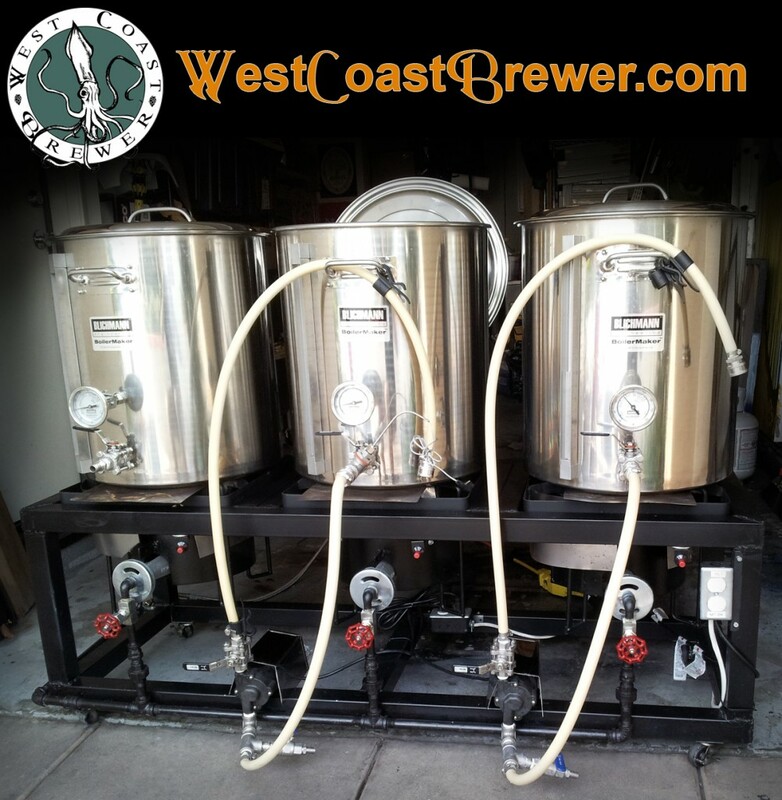 A home brewing single-tier brewing sculpture or beer rack is a single level brewing configuration where all of the brewing kettles are at the same level. 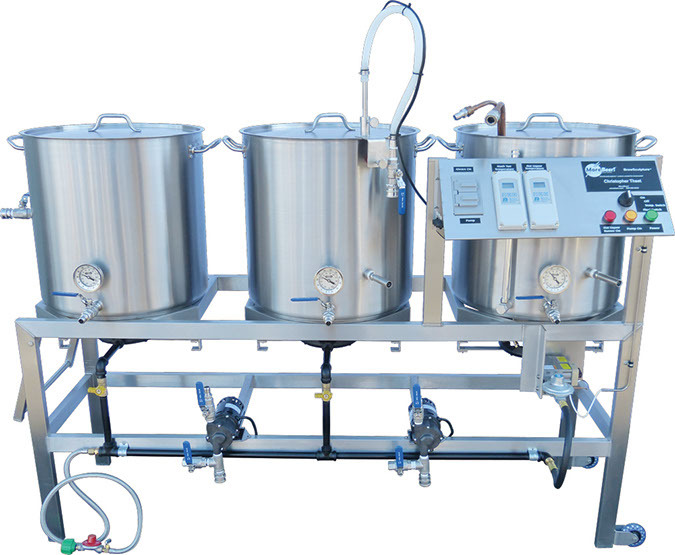 Single-tier brewing racks typically consist of a hot liquor tank, mash tun, and boiling kettle. One or two pumps are used to transfer liquid from one kettle to another. A notable benefit of a single-tier brewing sculpture over a multi-tier one is ease of access to the kettles. On a single-tier platform, the kettles are all at one low height, so it makes it safe and easy to stir the mash, add water to the hot liquor tank, or transfer the wort from the boil kettle. If the single tier system is constructed high enough off the ground, gravity can still be used to transfer wort from the boil kettle to the fermenter. Single tier beer racks also tend to be more stable then a multi-tier rack; trust me when I say that one of the last things you want is 15 gallons of burning hot liquid pouring down upon you due to an unstable rack or earthquake. Below is a photo of the brewing rack that I built. It uses 2 pumps, 3 burners, and 3 (20 gallon) Blichmann brewing kettles. If you have any questions on building your own, please feel free to drop me a line.